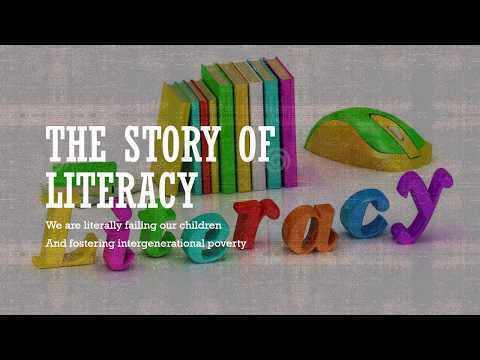 In this fast-paced, ever changing world, having a strong literacy foundation and basic educational competencies is absolutely necessary to life-long success. Individuals who are lacking literacy skills will be held back at every stage of their life. Children unable to read will have difficulty in school, young adults who struggle may opt to drop out and may be locked out of the job market and unable to advance to sustainable jobs. As these young people become parents, supporting their children’s academic journey will be difficult at best, which perpetuates the cycle. Deficient literacy and learning become an intergenerational cycle and makes social and economic equity nearly impossible. Children, youth, and ultimately adults with low literacy skills may not be able to: read a book or newspaper, understand road signs or price labels, make sense of a bus or train timetable, fill out a form, read instructions for prescription medicine or use the internet. This hinders all aspects of daily living. Low levels of literacy undermine local and national economic competitiveness, costing the taxpayer billions of dollars every year. Local businesses express dissatisfaction with the current literacy levels they are seeing in those entering the workforce. As a result, many are requesting post school remedial training for the young recruits who are seeking employment. Basic skills such as communication, social skills and increased literacy skills are found lacking and in need of remediation. Most Sussex County school districts are struggling with their ELA test scores. As a county-wide coalition, we work with multiple partners to support our school districts, with a targeted focus on the Promise Communities and State Priority Zones. I would argue that literacy impacts all social determinants of health. Unfortunately, we do not collectively allocate targeted funds to address this critical need. SCHC is already engaged in several key areas that impact literacy. We are working to ensure that parents are made aware of standard universal developmental milestones and that they understand the importance of regular validated screenings. Another key component to this initiative is synergy with early educators. It is imperative that families and educators alike are preparing children to enter school ready to learn. We actively foster and promote initiatives to assist children in school, both from a social and emotional perspective and with after school supports. We actively partner with the United Way of Delaware, who has taken up this charge. We will be supporting these initiatives while working towards creating parallel collaborations in Sussex County. If you are interested in being a part of this work, please reach out to us at schcadmin@pmgconstulting.net.